Vogue Cards: Winter Birthday Card. 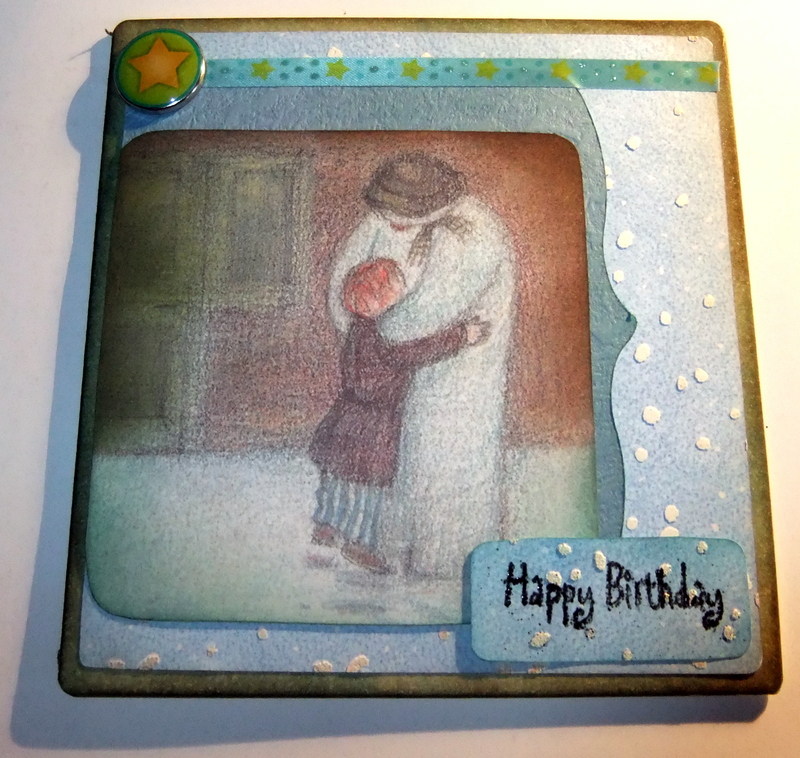 I decided to make a Winter Birthday card to enter in the DCD Christmas Club Challenge. As usual, I looked through my stash, and found a beautiful image in my Snowman paper collection. So I decided to use it as the topper in my card. After cutting out my image, I realized that I wanted the hug to be highlighted as the background wasn't central to the emotion of love I wanted to convey in this card. So I used my distress inks, walnut stain, peeled paint and broken china to gently distress the edges, leaving the central area bright as compared to the edges, thus drawing in the focus. I then used the IC card sketch to guide my way. Here's the finished card, I hope you like it! Wow! This is a pretty card! I love the image and your coloring is amazing! Great take on the sketch too. I'm so glad you joined us this week at Inspirational Card Sketches! Lovely card, great take on the sketch, thanks for joining us at ICS this wee. Fabulous card, Thank You for playing at ICS!